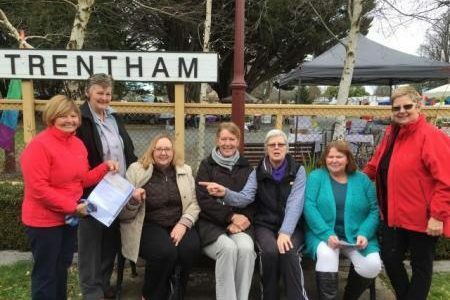 CIKA member Ruth Edelsten and Macedon Ranges Focus Group member Lesley McKibbin started running monthly stalls at the Trentham Sunday market early in 2016. They developed many friendships with other stallholders over the year and, in October, were presented with a cheque for $500 from the members of the Trentham CWA. The CWA members who are also stall attendees were inspired by the dedication of the CIKA team and appreciate the research that is undertaken at the RCH. CIKA is most grateful for this generous donation.